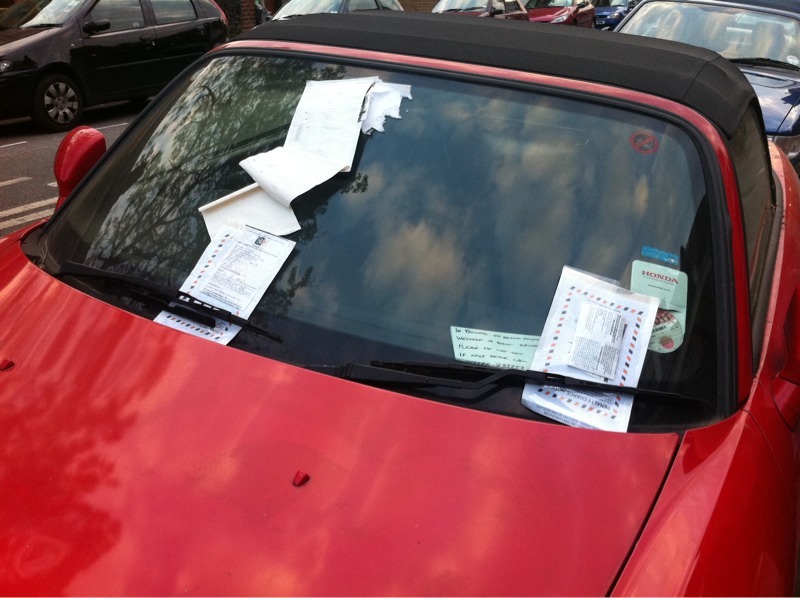 You’ve got to admire the commitment of the warden who has been laying tickets on this car in Crouch End, London for about a week. It seems at some point he decided to leave an entire pad of tickets just to save him the trouble of coming back every hour. The unfortunate owner of this car has tried to blag his way out of getting tickets by leaving a polite notice on the windscreen. Words to the effect of : “this car is in the process of being moved”. Seen as the warden saw no keys in the car, and no person behind the wheel; he didn’t think much to this “process” and decided to sting the owner with about a grands worth of fines. Go team.